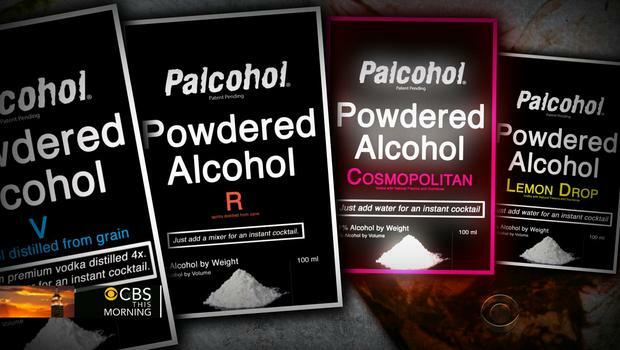 Powdered Alcohol – Why Government And Business Are Fighting To Make It Illegal. The U.S. Alcohol and Tobacco Tax and Trade Bureau approved a new powdered drink which mixed with liquids create alcoholic cocktails. Their approval is mere formality. Facing competition in the form of powdered drinks, Vodka and Rum distilleries along makers of margarita mixes started using smear campaigns stating addicts can snort the powder causing major health concerns. Fearing their revenue drop as ticket holders sneak their Palcohol into stadiums instead of visiting the concessions, sports patrons should expect more stringent searches as they enter arenas. Confusion over alcohol taxes will force some governments to pass laws banning the substance from stores. More conservative states will fear introducing a new addictive element to it constituents. Cries of Child endangerment echo throughout the internet as authoritarian parents picture unruly teens hiding boxes of Palcohol around their bedrooms. Since Palcohol is marketed as a means to bring alcohol to places it could not go before, expect police to expand on drunk-driving checkpoints. While early reports show these groups working alone or in pairs, one can expect larger groups to form to stifle creativity and innovation due to fear of the unknown.